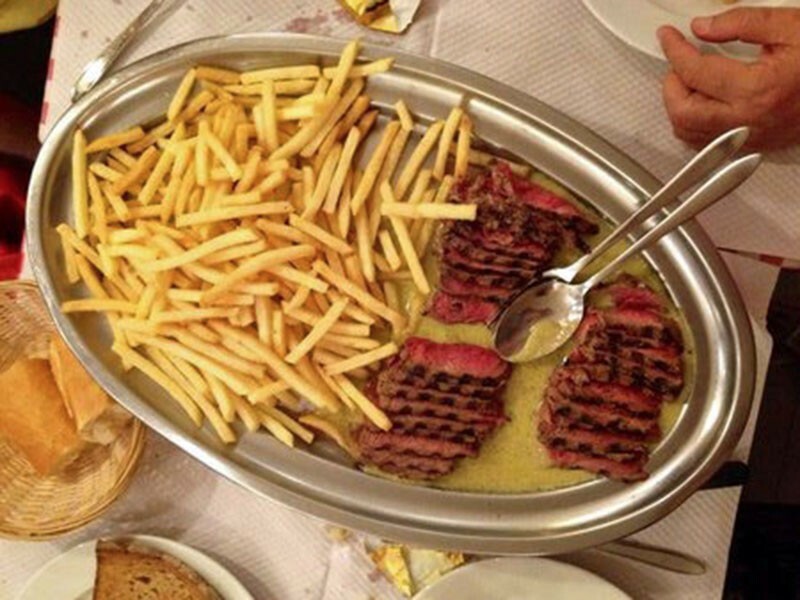 Last year, Men’s Journal magazine published a piece on “The Ten Best Steakhouses in the world.” Not the ten best in the U.S., the ten best ANYWHERE. I was pleased and proud to see Manny’s on the list, and to discover that I’d eaten at six of them. 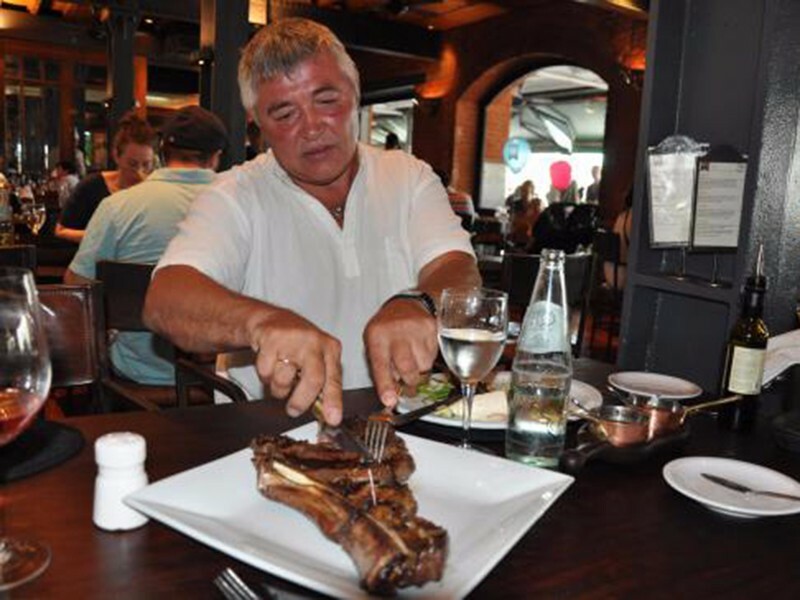 The steaks are all great, but the restaurants are all different – like wool and silk, one not better than the other. 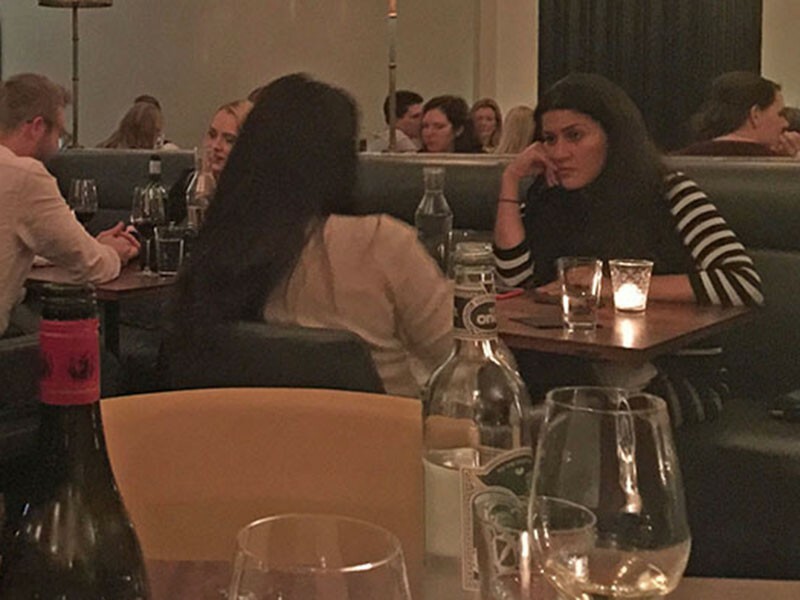 But they definitely have different vibes, differing décor, etc. Some are old world, others more modern. Some have broader menus, while others have extremely narrow ones. 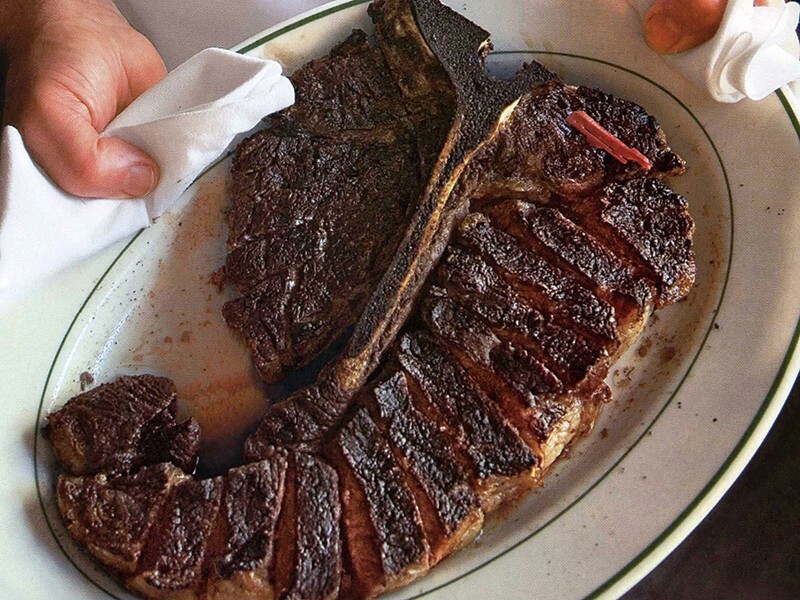 If you’re at all serious about steak, you have to visit this landmark Brooklyn steakhouse. It’s something unto itself. 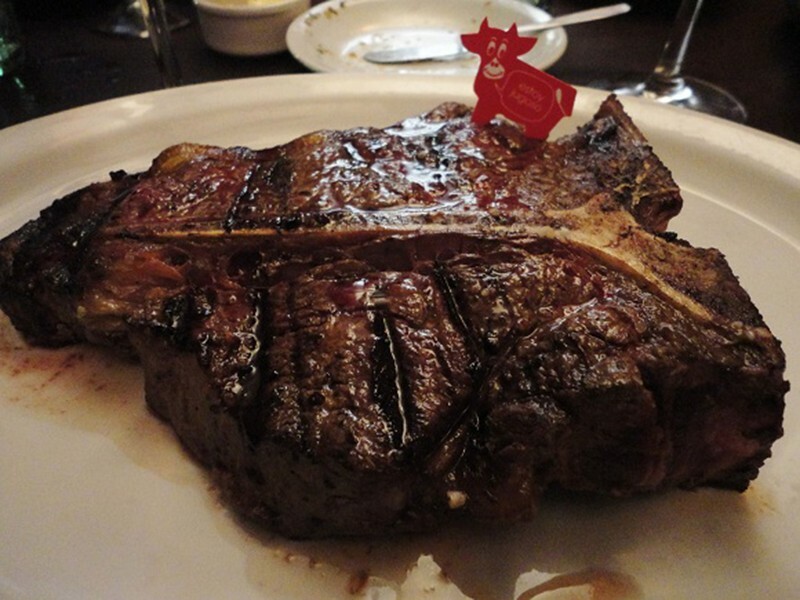 And talk about a narrow menu – You get PORTERHOUSE here – porterhouse and THAT’S IT. 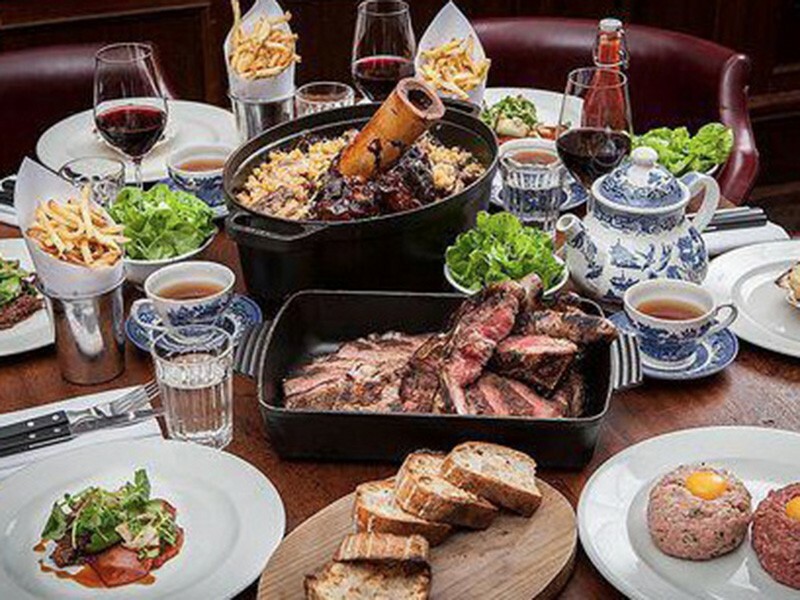 Steak comes on sizzling platters and is carved up family-style. The meat is impossibly delicious. 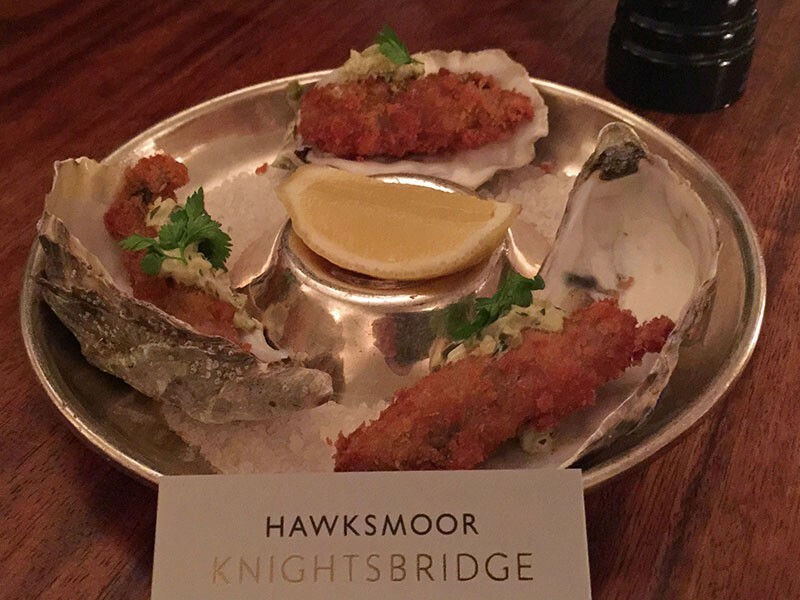 Is it any better than what you’ll get at the other top steakhouses? Honestly: NO. There isn’t a dime’s worth of difference among them (with one or two exceptions). They’re all dry-aged from top-of-the-line herds. They’re all as good as steak gets. 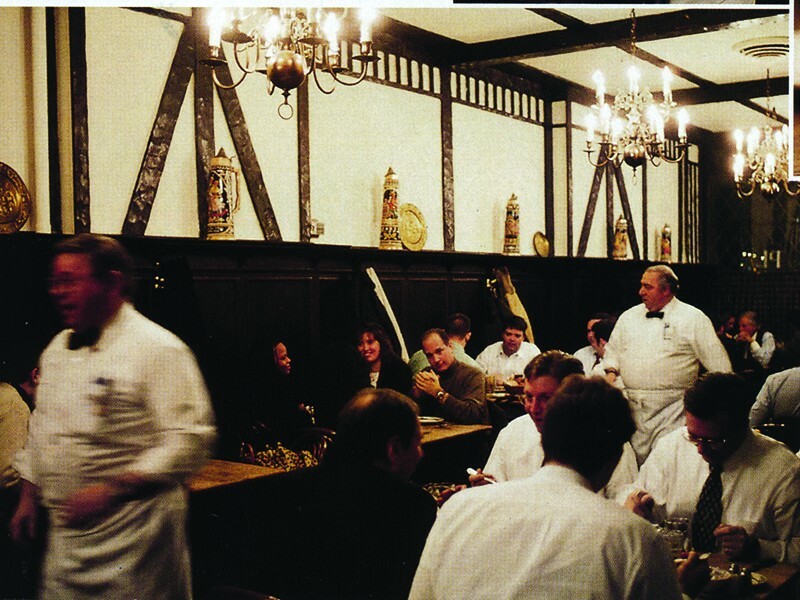 So what makes Peter Luger stand out, beyond it’s history and aura? These days, not much. 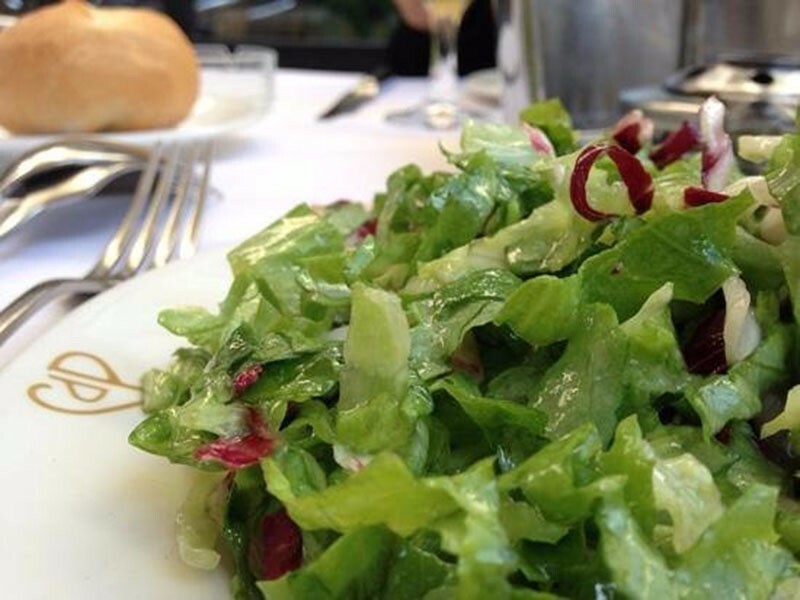 The restaurant knows its dining room will always be full, and that it doesn’t have to work to win over its guests. 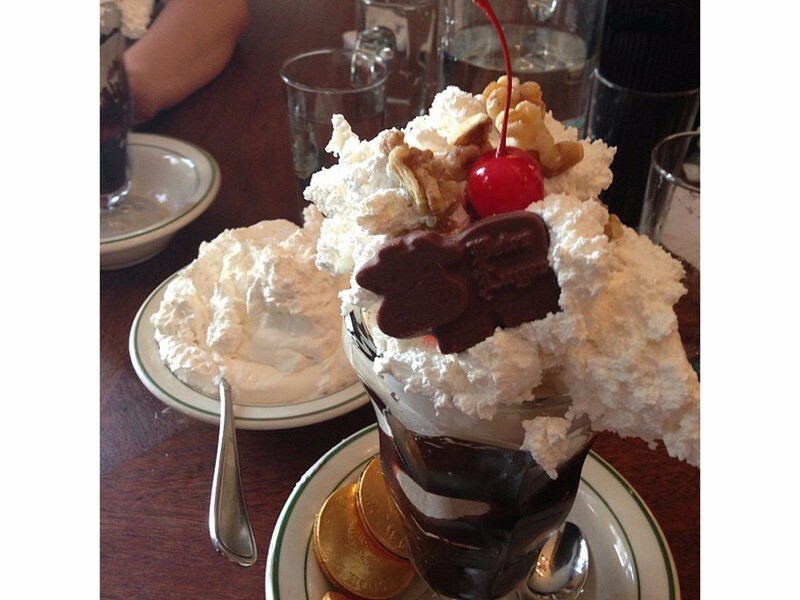 Hence the gruffness of the waiters…and Lord help the person who asks for a menu or tries to pay with a credit card. NO PLASTIC ACCEPTED. On the one hand, a no-credit cards policy is ridiculously inconvenient, but I can forgive it here – it’s part of the shtick. What I can’t forgive is the way we were treated on our last visit. 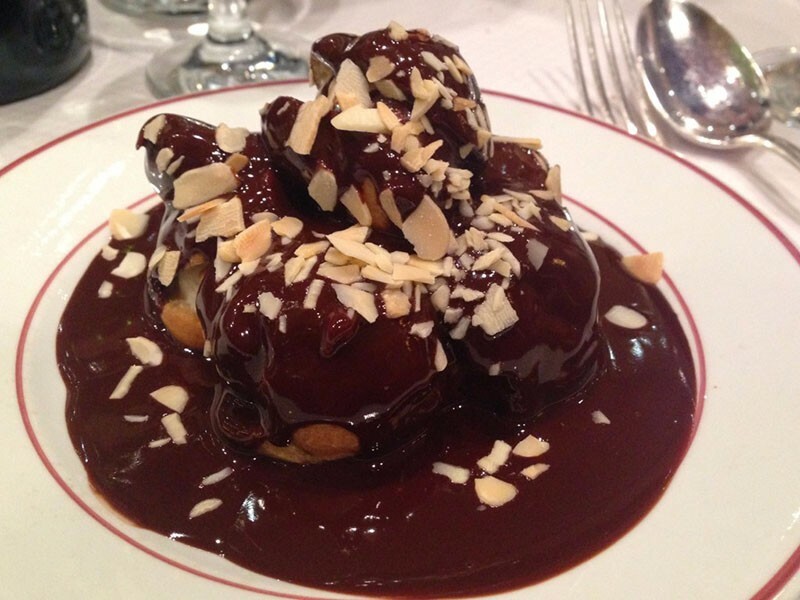 We went with our Parasole colleagues – I think six of us – and while the gruffness of the waiters can be amusing at times, it’s not amusing to be taken care of by someone who’s HELLBENT on turning his tables. 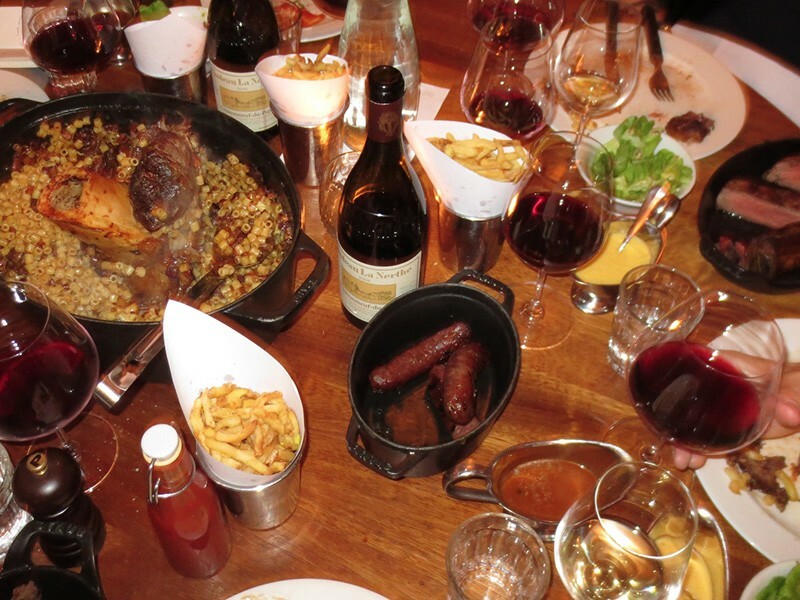 We were in, served, and ushered out in 45 MINUTES – after dropping well over a thousand dollars on dinner. WTF indeed! 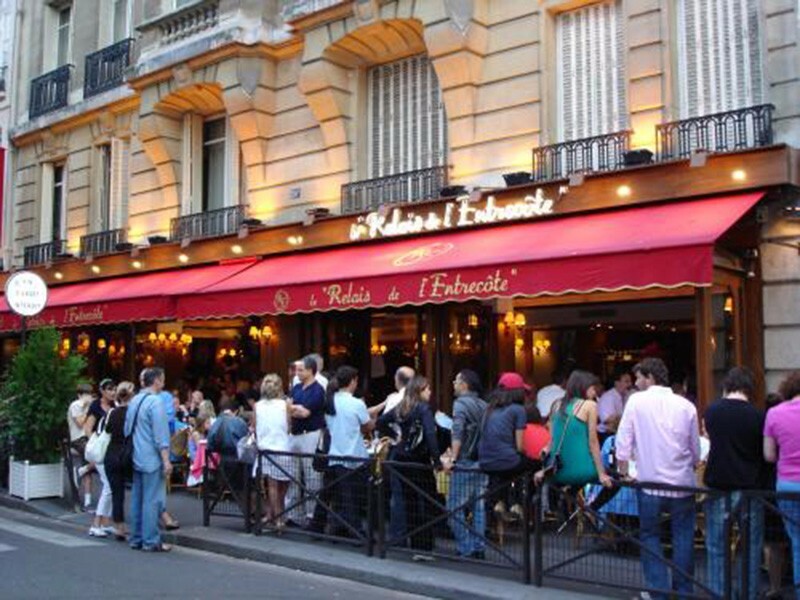 I wrote about this steakhouse in my March 31st blog post, so here’s a quick recap: There are several L’Entrecote restaurants in Paris and they’re all pretty similar. The opposite of a “power steakhouse” like Manny’s or Peter Luger, this isn’t where you take clients. It’s where you bring family and friends for a rollicking good time. 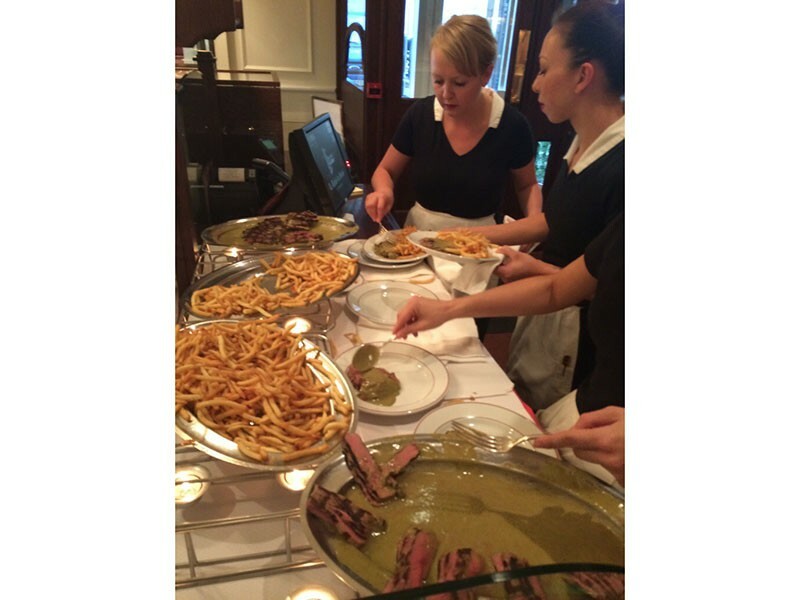 The only thing on the menu is steak, and it comes with a secret sauce and UNLIMITED FRIES. This one should have made the list. 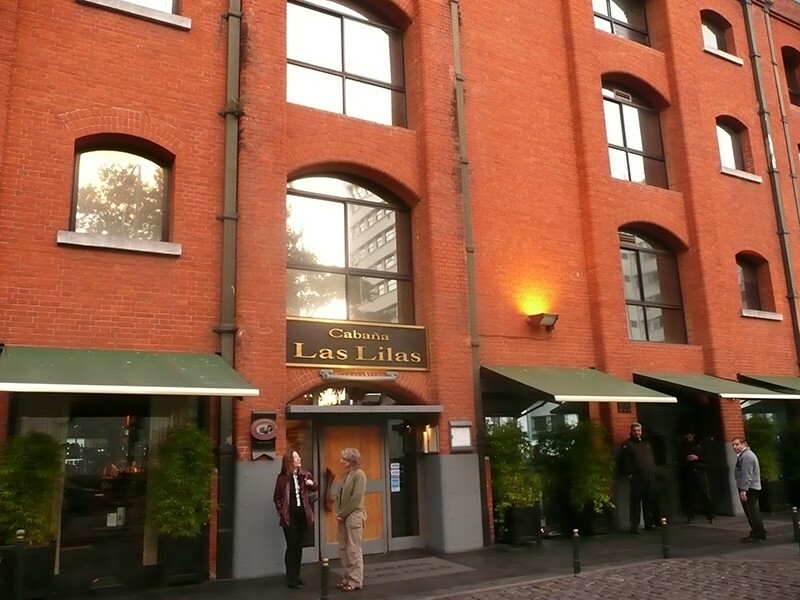 Situated on the waterfront of the Puerto Madero, Cabaña Las Lilas is one of my favorite steakhouses in all the world. 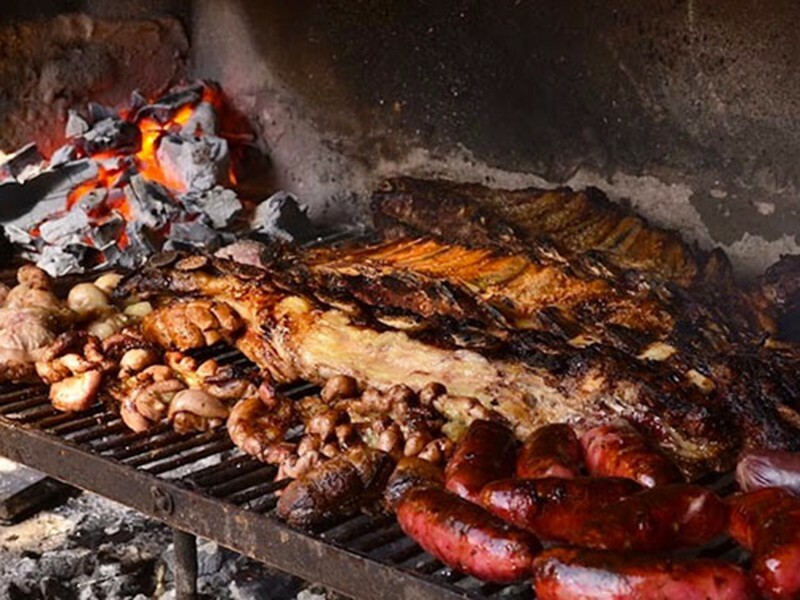 It’s run by a four-generation family that breeds its own livestock and grills all of their steaks (and spectacular sausages) over a wood fire (not typical for most steakhouses). One of the pleasures of this place is that the grill can be seen through a long glass wall along a hallway. Never have I seen such a high volume of steaks cooked with greater care and choreography. You have to remember: High quality steaks are hugely expensive. 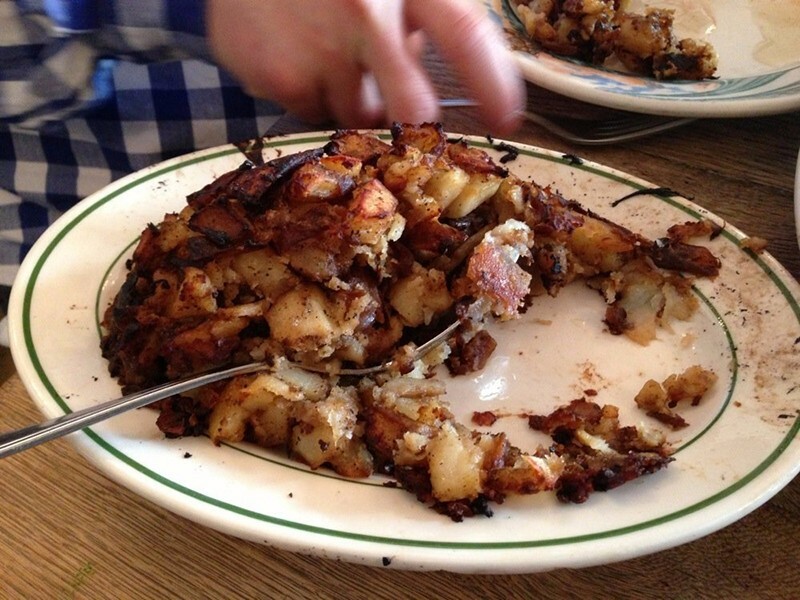 Losing even one to overcooking is a mistake that’s NOT TO BE REPEATED. 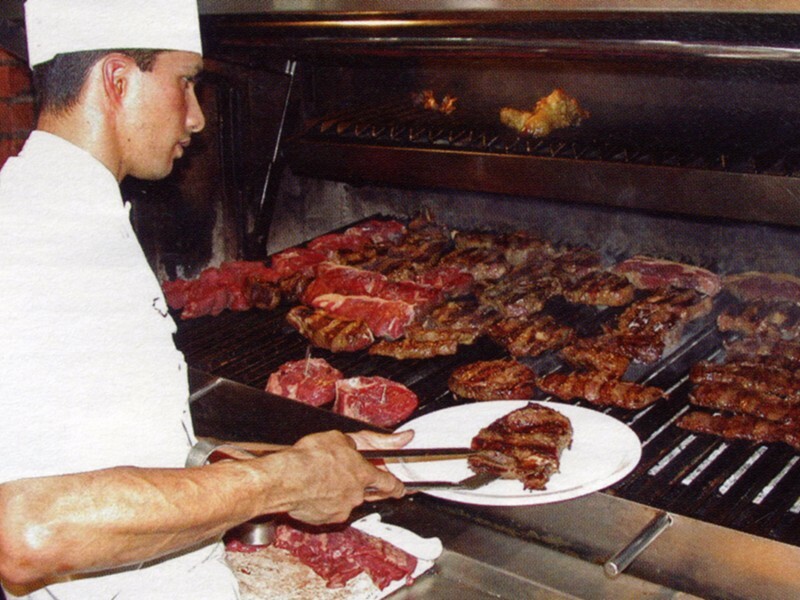 So you need the best people working the grill or broiler, and Cabaña Las Lilas (Like Manny’s) has lifers cooking their steaks. Watching them do their thing is worth the price you pay here! These are real artists. By the way, I’m in good company with my opinion of Cabaña Las Lilas. 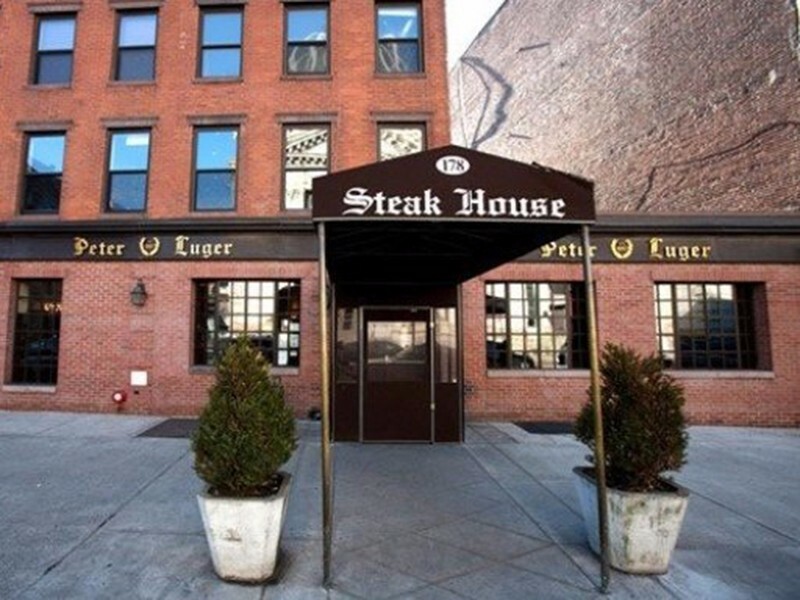 The New York Times has called it one of the 10 best steakhouses worldwide. 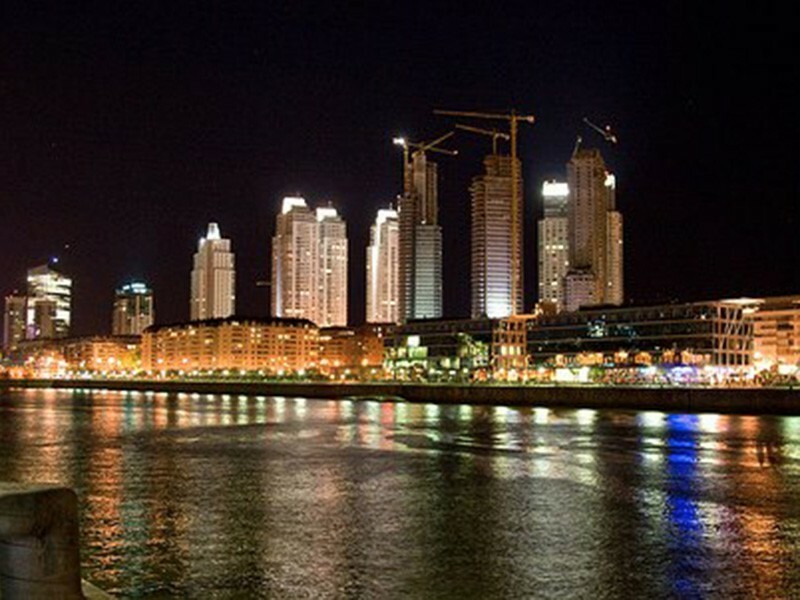 Weather permitting, sit outside and take in the view of the Buenos Aires skyline. You’re gonna LOVE this place. And you can buy a carving set as a great souvenir. This is a puzzle to me. 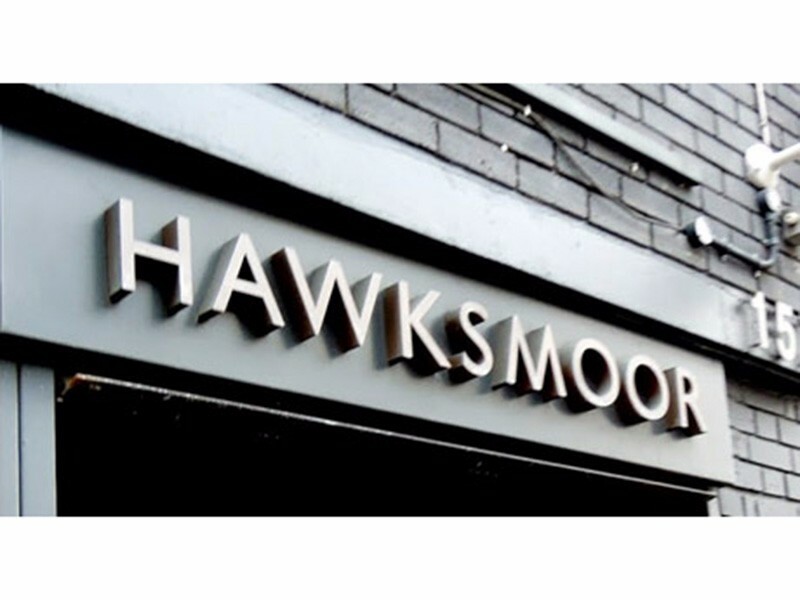 With five locations in London, Hawskmoor commands a tremendous following. 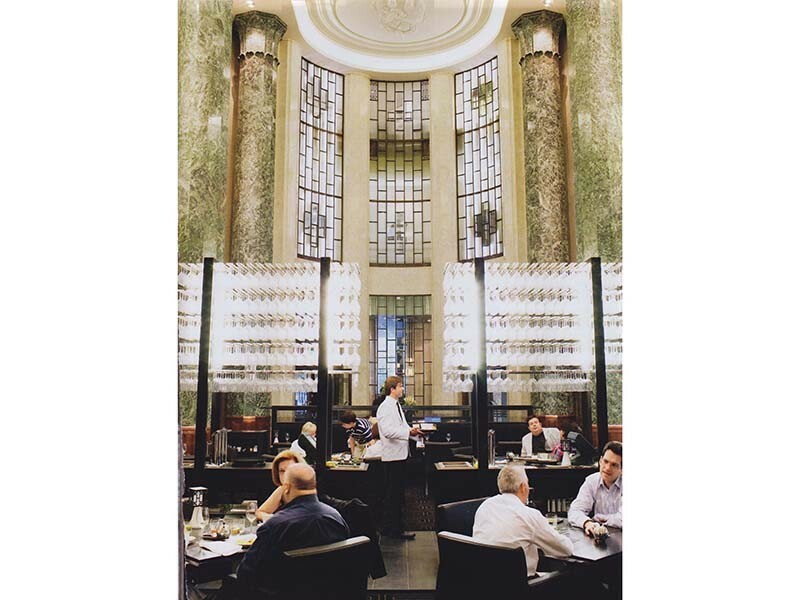 And along with Men’s Journal, both Harden’s and Zagat rate them as the best steakhouses in London. Still, the two locations I visited have significant drawbacks. Both are large, dark basement spaces with uninspired décor and low ceilings. The masses of people give the rooms plenty of energy, but do you really want to eat in a dark, windowless cellar? So where to go in London for steak? THE GUINEA GRILL in Mayfair. I wrote about it in my March 15 post. I’m really glad this place made the list. Located in THE PALAZZO hotel, tucked between the Venetian and The Wynn in Las Vegas, it’s owned and run by Mario Batali and Joe Bistianich. As you might imagine, it’s an Italian steakhouse. 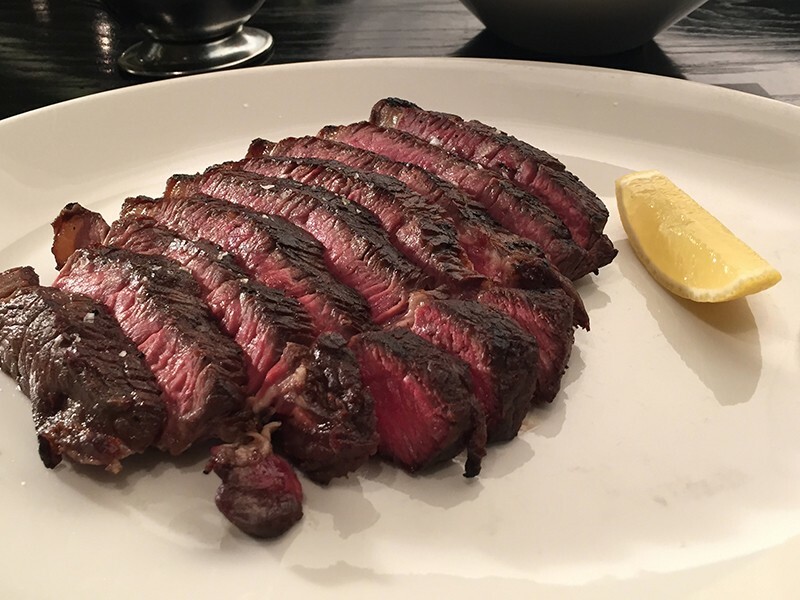 Its other distinguishing feature is the fact that many of its steaks are dry-aged for much longer than the normal 28-40 days – which means they’re not for the timid. 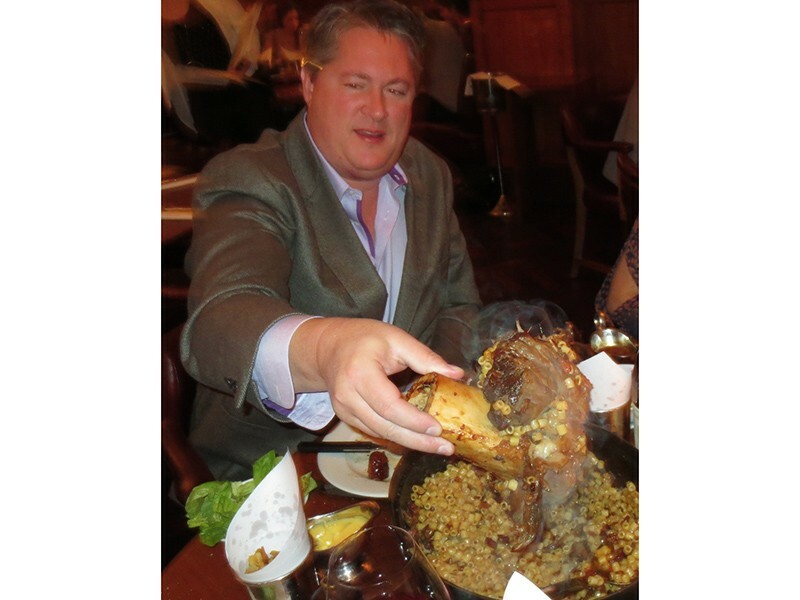 We know from our experience with the 65- and 85-day aged steaks at Manny’s that it’s not for wimps or bed-wetting men. 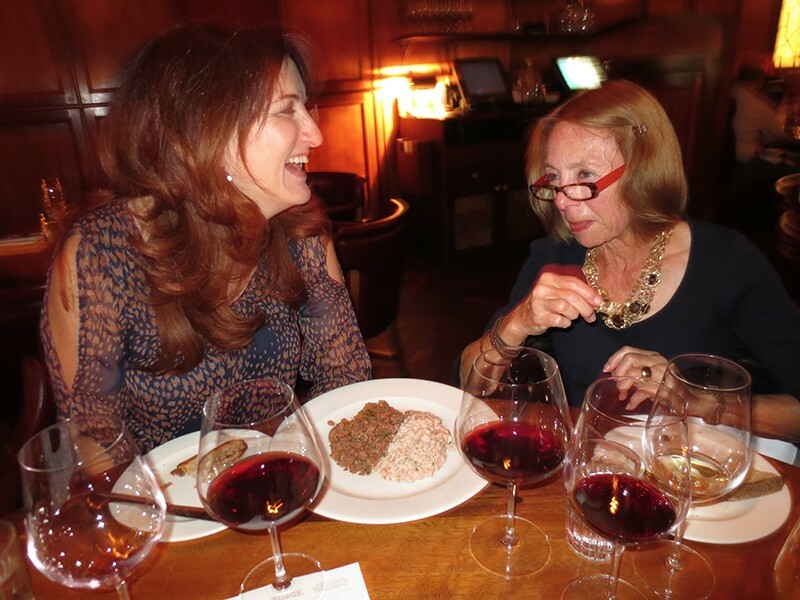 But if that’s what you’re drawn to, there are few better choices than Carnevino. 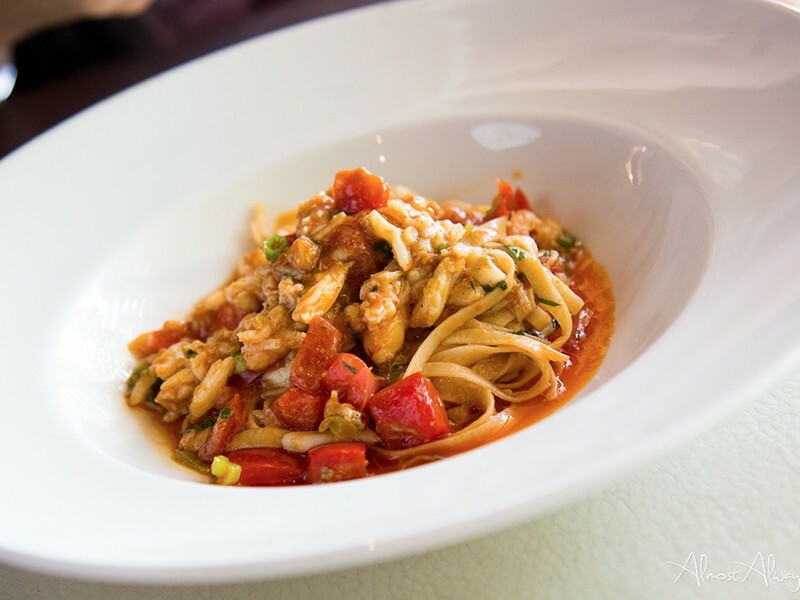 Along with steaks, the menu features a dozen or so pastas, a selection of crudo, and other staples of Italian restaurants. So what to order? That’s easy: Get the BISTECCA FIORENTINA, the pride of Tuscany and the king of Italian steak preparations. 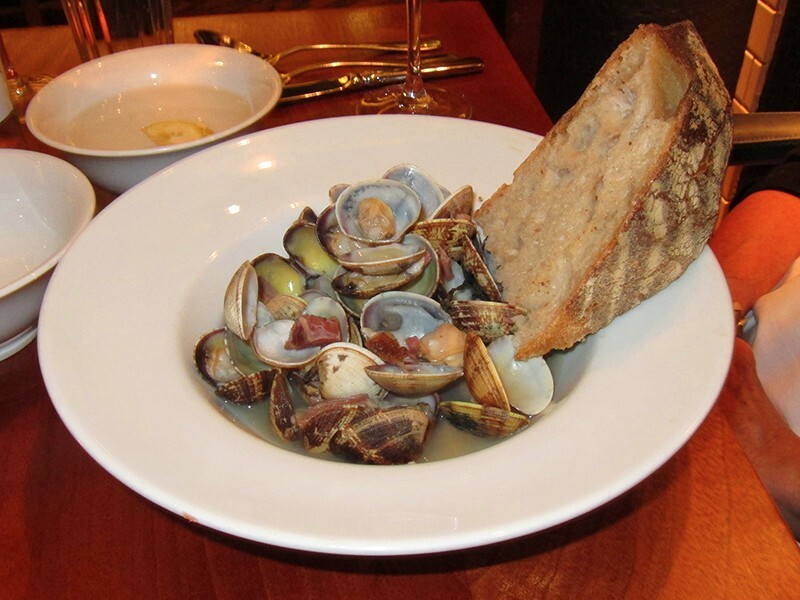 Located in Sydney, this restaurant is part of a group owned and operated by Neil Perry – kinda the Parasole of Sydney. 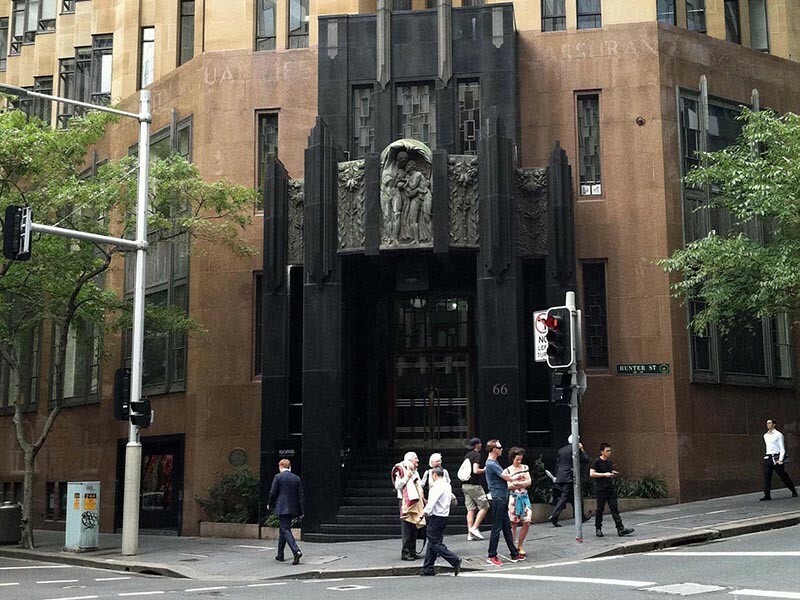 The stunning Art Deco dining room SOARS – the ceiling must be 30 feet high. Service by the white-jacketed staff anticipates your every need. And the professionalism of the operation assures that you’ll be well taken care of in every respect. 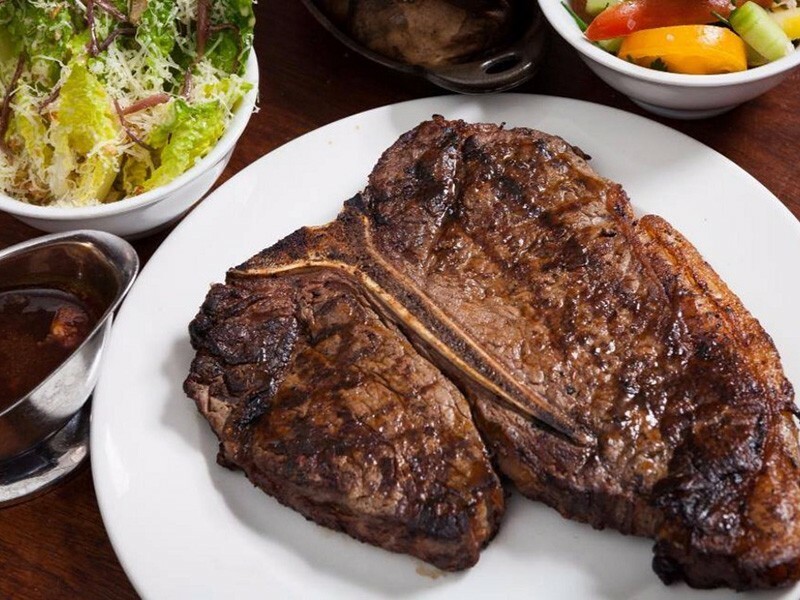 The steaks are dry-aged for 38 days and cooked on a wood-fired grill. 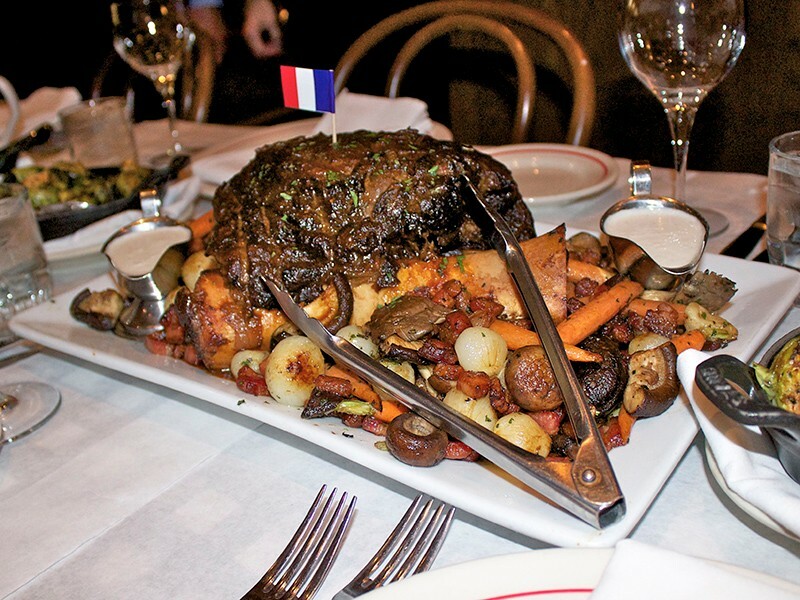 If you’re expecting a traditional Old World-style steakhouse, this isn’t it. 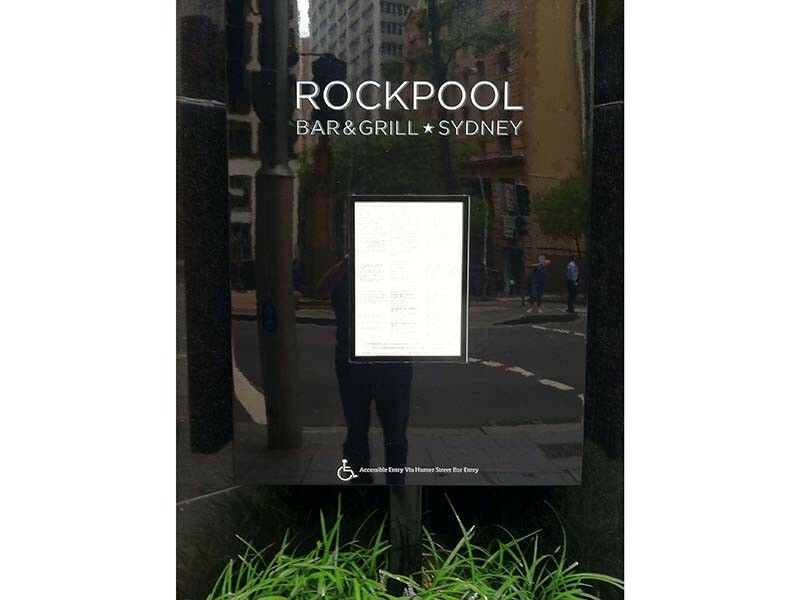 In fact, Rockpool almost isn’t even a steakhouse. 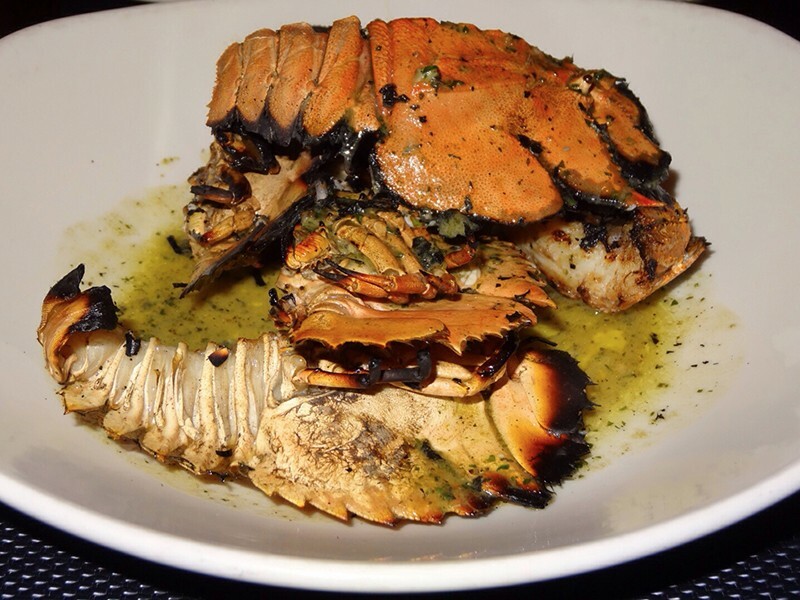 The breadth of its menu (Grilled Moreton Bay Bugs, Linguine with Spanner Crab, duck confit, etc.) really makes it more of a restaurant that simply serves great steak. But make no mistake: the meat is absolutely world class. 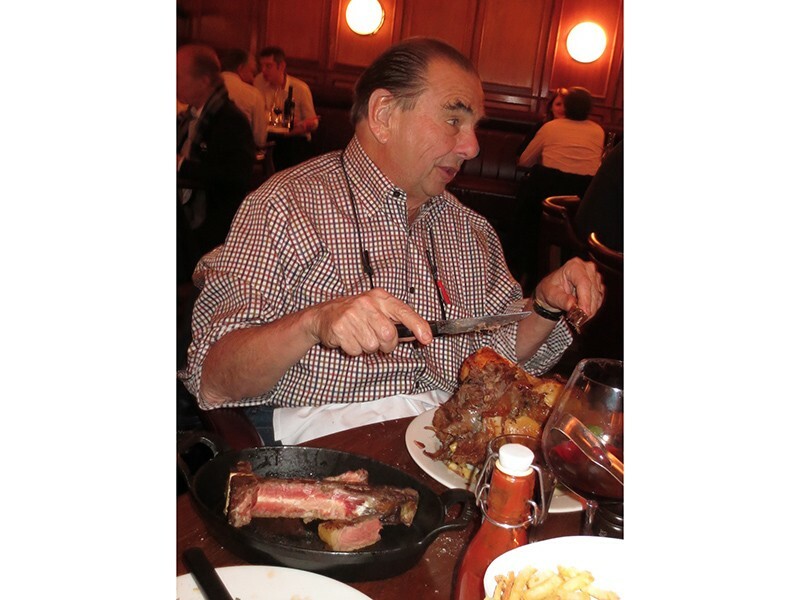 In future posts, I’ll return to steakhouses, since – hands down – they’re my favorite kind of restaurant, but one can only ingest so much meat in a sitting, so we’ll leave it there for now. 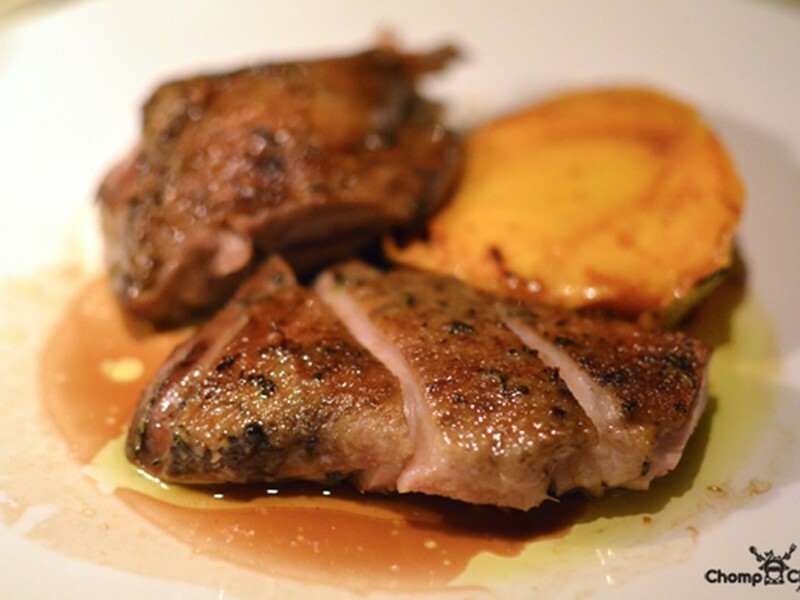 Happy Eating – and remember, fat is flavor! 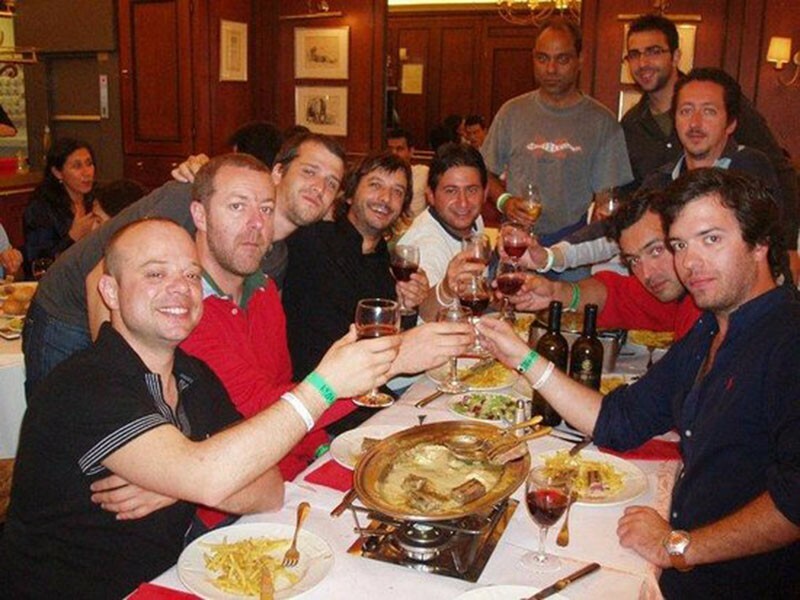 Wow, I would love to eat a steak in Paris. How cool would that be? I wonder what it’s like to work at one of those fancy restaurants. I mean, it seems like it could be pretty entertaining at times.